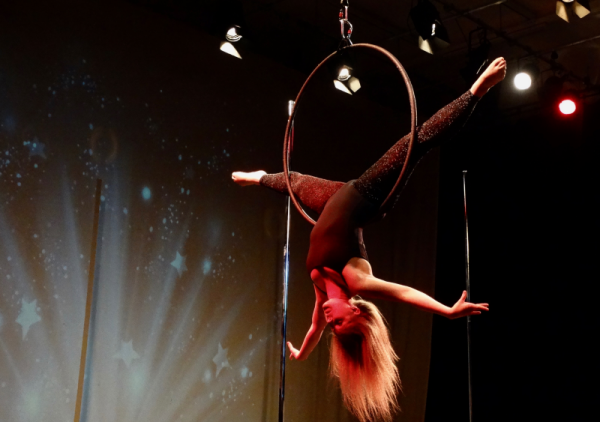 The Aerial Hoop (also known as Lyra) is a beautiful aparatus. From your very first lesson you'll be making impressive poses in the hoops, learning how to invert (get upside down) and exploring different ways to hang on the hoops. You don't need strength to start but you will definitely develop it as you progress! Once you've covered some basic shapes and hangs you'll be moving on to transitions, rolls and even drops if you're feeling brave!